Tunitas Creek is a 6.6-mile-long stream that flows to the ocean through Tunitas Beach. Tunitas Creek Beach is a beautiful stretch of the California coast located just north of San Gregorio and Highway 84. Four sensitive habitat areas come together at this site, including the riparian corridor, sand dunes, marine habitat and habitats supporting rare, endangered and unique species, such as the coastal marsh milkvetch. 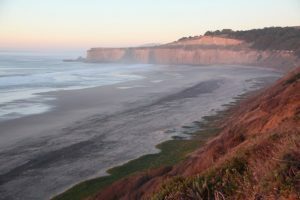 The beach, however, is under stress from unregulated human activity, prompting the San Mateo County Board of Supervisors to take steps to ensure the safety of visitors while reducing impacts to the natural environment and neighboring community. At their June 6 meeting, the Board introduced an ordinance that aims to curb harmful behavior that puts people, wildlife and sensitive habitat at risk. Spring has sprung! Wildflowers are blooming, birds are chirping and the sun is out! 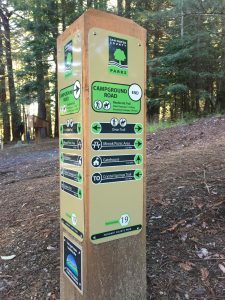 Life is good, and it’s time to make good on my New Year’s resolution: to hit the reset button and hike all 190 miles of trails in the San Mateo County Parks system. I am off to a bit of a slow start due to the rainy winter, but it hasn’t stopped me completely: I have 15-and-a-half miles under my belt. It all started with a New Year’s Day hike at Devil’s Slide. Since then, I’ve had a walking meeting at Huddart, participated in a group hike at Sam McDonald in honor of Black History Month, and hiked nearly every trail at San Pedro Valley in preparation for an event.